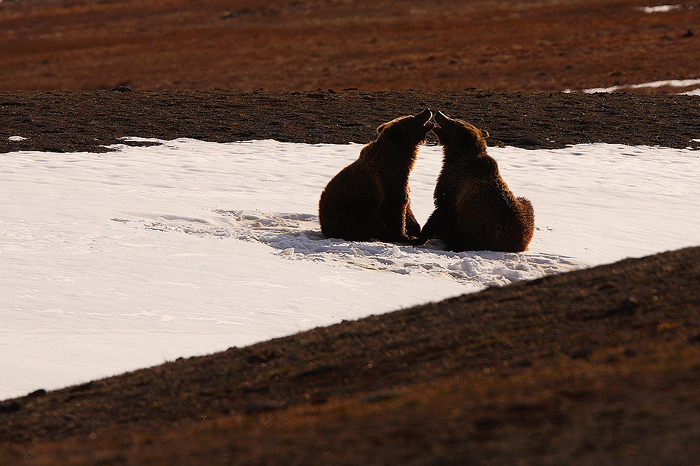 These two grizzly bears found this patch of snow to play on. We watched them for hours as they rolled up and down the hill and wrestled with each other. Bears always show so much character, and that is the reason they are one of my favorite animals to photograph.